Close the lid gently and cook until the waffles are golden brown and crisp, 6 to 7 minutes. Keep the cooked waffles warm in the oven or covered with foil on a plate while you make the remaining waffles. Set the waffle directly on the oven rack to keep it warm and crisp. Repeat with the remaining batter, holding the waffles in the oven (don�t stack them). When all the waffles are cooked, serve immediately. Some recipes call for buttermilk, while others call for whipping the egg whites before adding them to the batter. 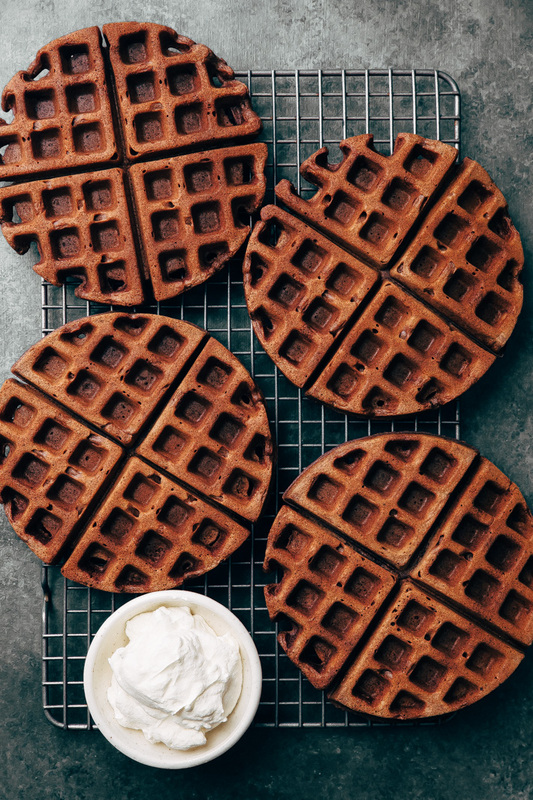 These ingredient(s) and method(s) may enhance the crispiness and taste of the waffles, but I wanted to keep my recipe as simple as possible without sacrificing the flavour and texture too much.